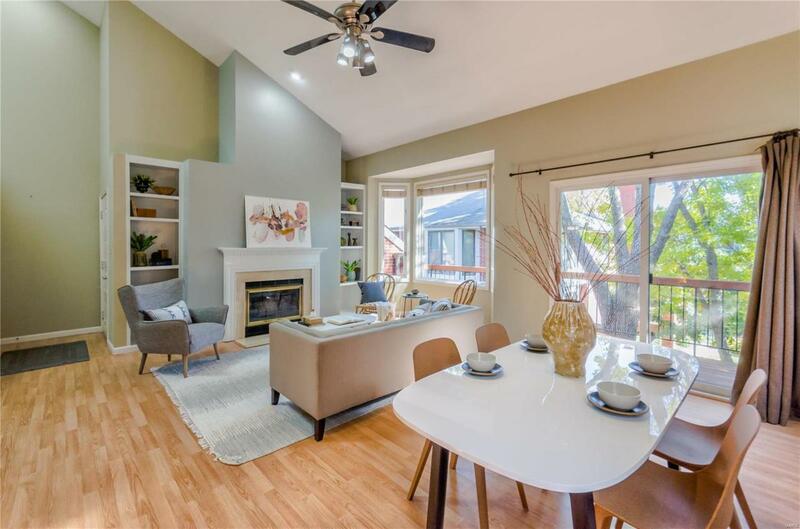 Lots of natural light in this stunning, two-bedroom, 1.5 story condo in the Central West End with vaulted ceiling. Beautiful new kitchen with stainless steel appliances is complete with breakfast bar, pantry, new cabinetry, countertops, lighting and glass backsplash. The great room boasts a large bay window and a wood burning fireplace flanked by built in book cases. 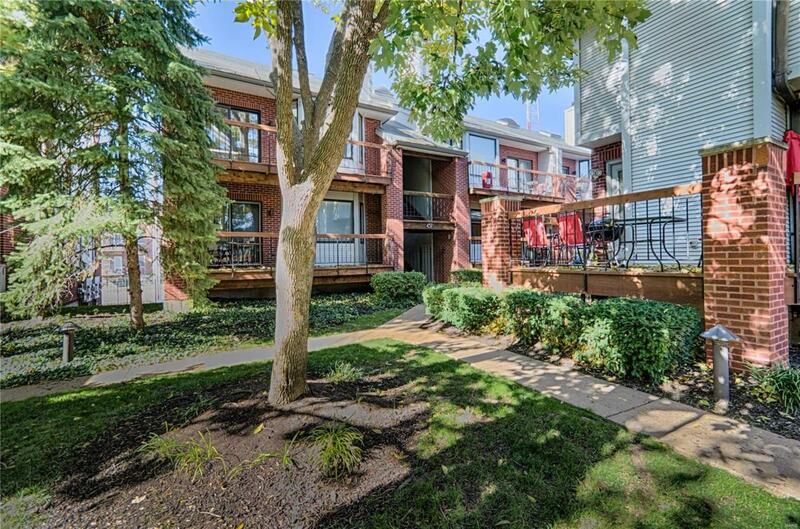 Walk out to a large second floor wrought iron deck with a serene view of the beautifully landscaped courtyard. Spacious main floor master suite with crown molding, large walk-in closet, and master bath with separate tub and shower. 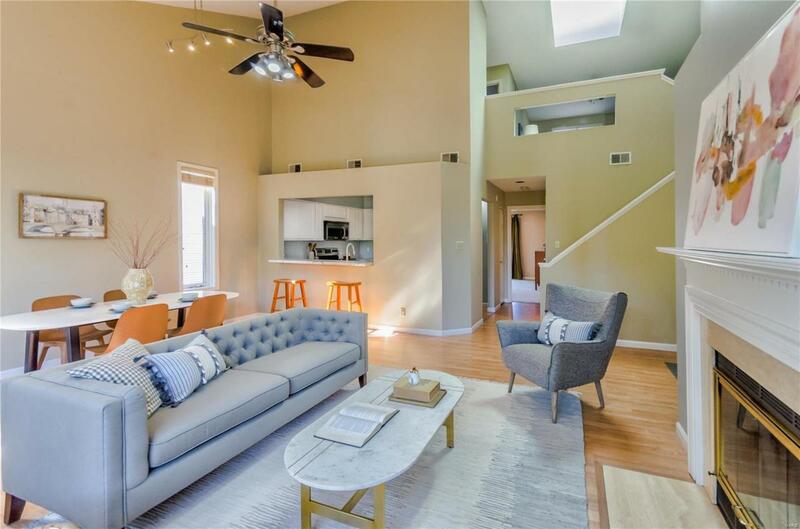 The second floor features a large 2nd bedroom, full bath with tub/shower, laundry, and generous bonus room/loft area with sky light offering a flexible space for office or den. Two car tandem garage with lots of extra space and lockable storage. 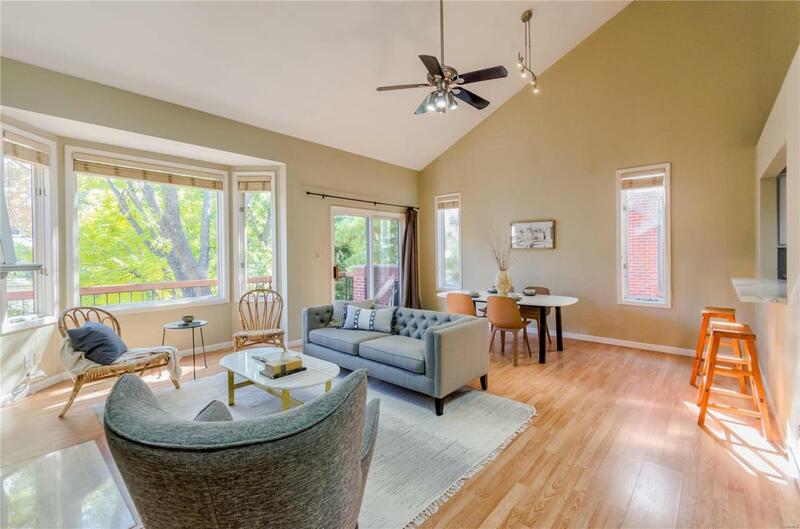 Absolutely amazing location - walking distance to Forest Park - close to SLU, Washington University, Barnes Hospital, Hwy 40, 44 and 170. Listing provided courtesy of Lauralei Properties, Llc. Listing information © 2019 Mid America Regional Information Systems, Inc.